Chase, from Odyssey of Time (nice blog, check it out), guessed the answer for this puzzle. See below for what amazing animal this picture represents. 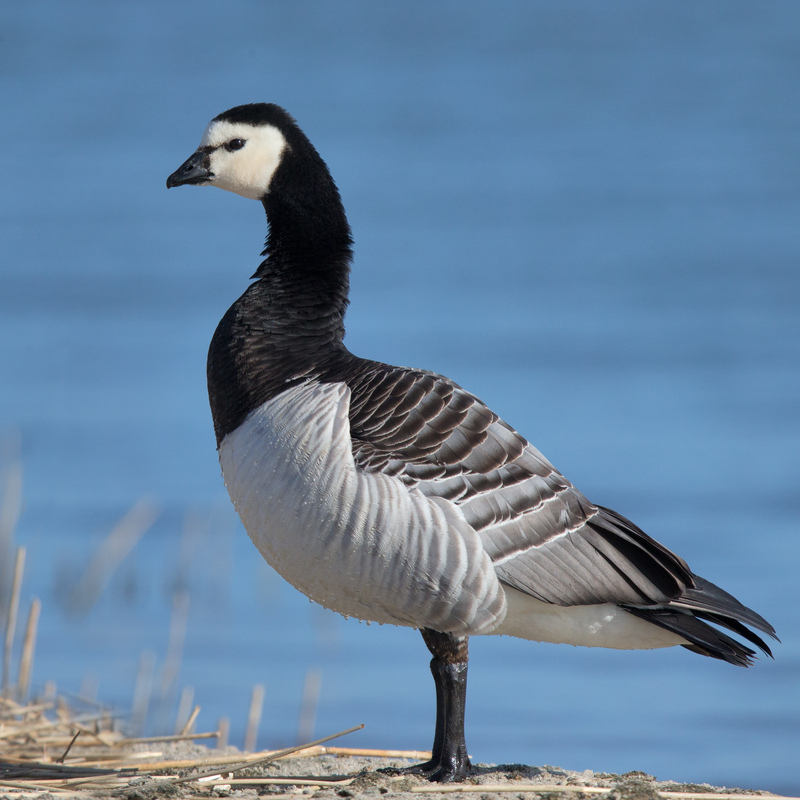 If one thinks about cliff-diving geese, nothing fits the bill better than barnacle geese, also known as Branta leucopsis. They live in the North Atlantic and can be found along the coasts and islands around Greenland, the United Kingdom, and most recently in the Baltic Sea around some of the Nordic countries. The day they are born they face a daunting task. To protect the eggs from predators, the adults make their nest high up on cliff faces, oftentimes 400 feet (150m) above the base of the cliff. Unfortunately, the food is at the bottom of the cliff and the parents do not bring food to the chicks. So what is a hungry newborn to do? They jump. It’s a rough life. 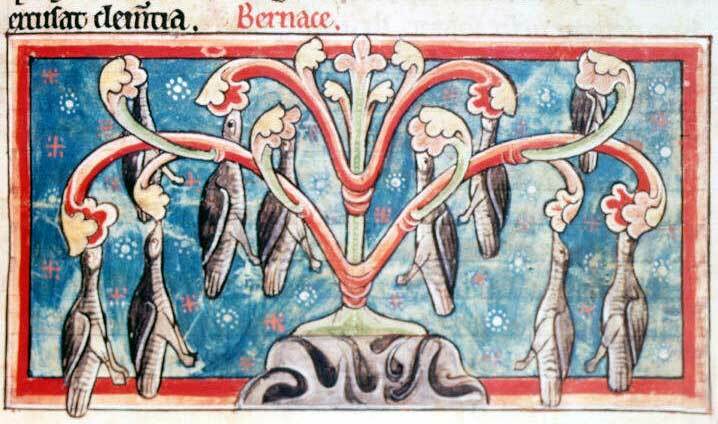 Between the dangers of the fall, the predatory birds above, and the foxes below. they are fortunate is half of the chicks survive their first day. Personally, I don’t see how any of them survive. The fall is just brutal. Listen carefully to the video and you can hear the chick squeak as it hits the rocks repeatedly on the way down. Amazingly, the chick just brushes itself off and carries on, a little dazed, but seemingly no worse for wear.